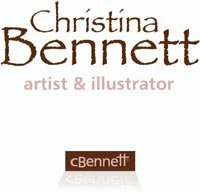 Christina Bennett Artist & Illustrator: Hi, and welcome to my fresh, revised website! Hi, and welcome to my fresh, revised website! I hope you enjoy browsing my site and I'd love to hear what you think of my work. or would like to request a commission!